VORTEX SPARC AR RDS REVIEW! So as my custom Ares Amoeba Octa Arms Honey Badger build with Bespoke Airsoft is almost complete, so it's time to start looking at what went into the build and I'm going to start with the optic! 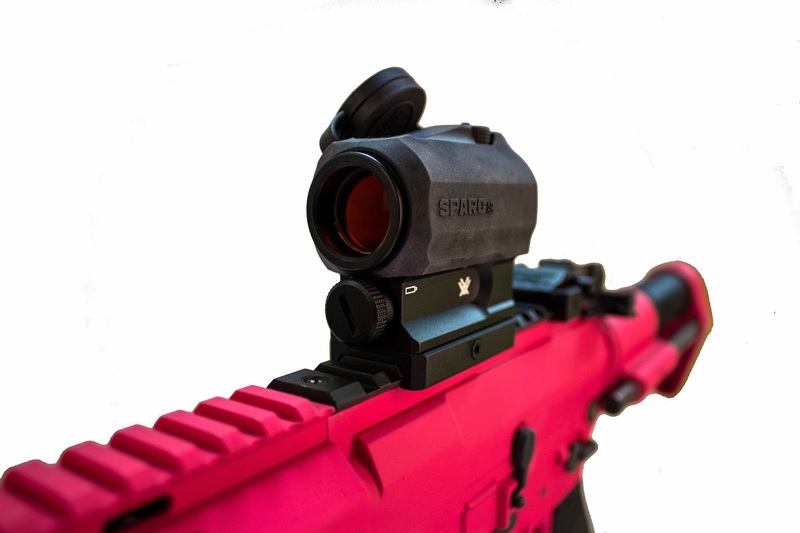 The awesome team at Vortex Optics kindly sent over one of their SPARC AR red dot sights to complete the build and here is the long awaited review! As you all know, my poison of choice is Airsoft, more specifically CQB and when looking for the perfect optic to finish off this build, I had an idea of what I needed - tough to withstand the stress of being used in such a close environment, longevity, durability and it had to be a red dot. This is where Vortex came onboard and recommended their SPARC AR RDS. Let me tell you a little bit about Vortex Optics to start. Dan and Margie Hamilton, the original and current owners, started a small outdoor retail store in 1986 shortly after moving to Wisconsin. Their small outdoor retail business grew and evolved over time and in 2002 Vortex Optics was born. Vortex is an American Owned, Veteran Owned, Family owned/operated business that designs and manufactures optics for hunting, bird/wildlife watching, outdoor recreational sports and law enforcement. So far their range of optics includes binoculars, rifle scopes, spotting scopes and other optics. The Vortex SPARC AR has a similar look to T1 RDS sights that Airsofters know and love. 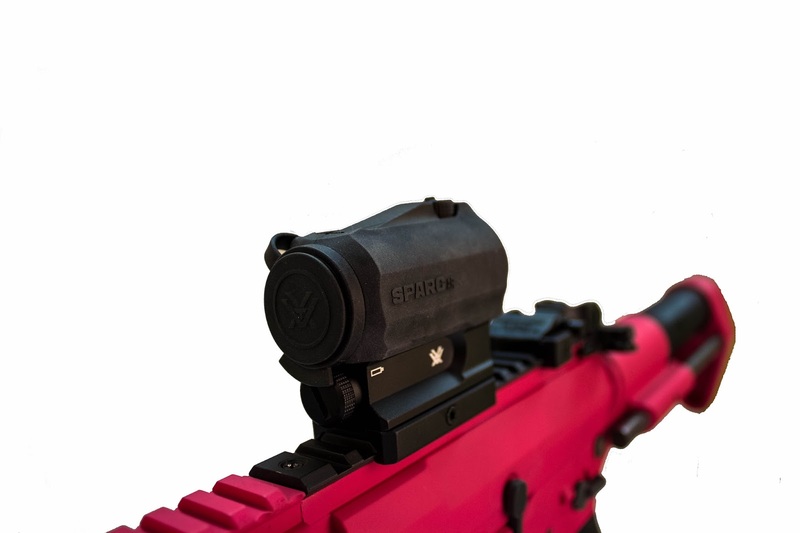 It is a lightweight and compact sight crammed with features such as a rubber armour casing and a tethered rubber lens cap making the sight shock proof, neutral pressure Nitrogen purging ensures that the sight is both waterproof and fogproof - and that it will withstand the elements at any elevation. It has rear facing digital power and dot brightness controls for quick access and they are always viewable from the shooters position, as well as boasting a bright 2 MOA dot diameter that promotes a precise point of aim. Now those are the facts? But how does it feel/perform? Upon opening the box and retrieving the unit I eagerly set about getting the sight running and mounted on my rifle. It comes with an AAA battery already in the box so you just have to unscrew the battery compartment, pop it in, unscrew the allen bolts with the supplied allen key and mount it to any 20mm RIS rail. The sight is pretty much plug and play and is super easy to zero in and operate. You get a clear picture from the sight and when on the brightest setting the red dot is super bright and easily visible in all light conditions. 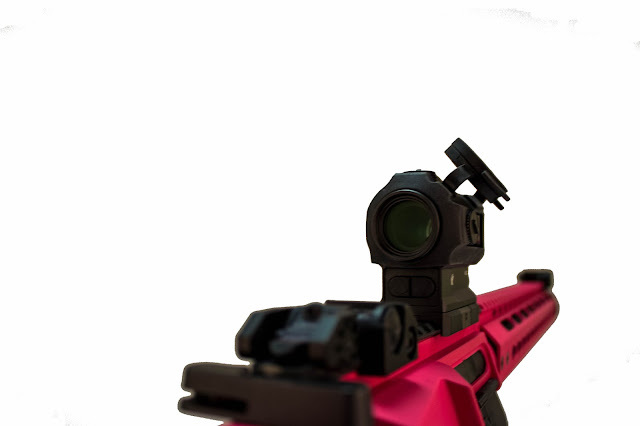 It is also worth mentioning that the SPARC AR comes with Vortex's VIP unlimited lifetime warranty, which means if the sight gets damaged or becomes defective they will repair or replace the optic free of charge. It doesn't matter who's fault it is or where you purchased it from. This 'Very Important Promise' to their customers is a big selling point for me on the sights, as we all know, things can get pretty hairy in CQB especially so having the knowledge that it will be repaired or replaced if anything goes wrong is a great piece of mind! Overall, it's a great little sight that is packed with features and it's easy to use on the field, what more could you need? TROUBLE IN TERRORIST TOWN WITH NODE!